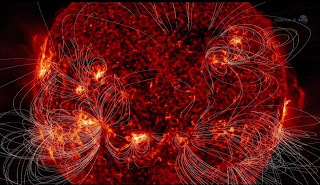 The sun's magnetic field is in the process of reversing itself, and NASA Science News says scientists monitoring the activity say they expect the reversal to be complete by the end of this year. This flip of magnetic polarity on the sun marks the peak of each solar cycle, so conventional wisdom says we are now at solar max for Cycle 24. However, some scientists are predicting a double-peak, as we saw with Cycle 23, because the sun's hemispheres are not in synch with each other. According to this report, the sun's north pole has already reversed polarity and the south pole "is racing to catch up." This could lead to a second sunspot peak in the 2014-15 time frame. For more details, see <http://1.usa.gov/15BhcAW>. from the Senate Commerce Committee. The Senate Commerce Committee has recommended confirmation of President Obama's nominee for FCC Chairman, telecom industry leader and former lobbyist Tom Wheeler. The President also nominated Senate staffer Michael O'Rielly to fill the Republican FCC seat made vacant by the resignation of Commissioner Robert McDowell. According to the ARRL, the full Senate was expected to confirm both nominations - perhaps both at the same time - after returning from its summer recess. The ARRL is urging the FCC not to grant private organizations greater authority in certifying that RF devices comply with commission rules and do not cause harmful interference. According to the ARRL Letter, much of this work is already done by so-called "telecommunication certification bodies" or "TCBs," but under FCC oversight and following an initial FCC evaluation of new products. In reply comments on a proceeding seeking to outsource all equipment authorizations to TCBs, the ARRL joined the National Association of Broadcasters in questioning the bodies' track record on accuracy and transparency, and noted that enforcement of FCC rules "is the proper task of the Commission's staff." Three Somali pirates, convicted in July of killing four Americans - including three hams - should be sentenced to life in prison, according to a federal jury in Norfolk, Virginia. Prosecutors had sought the death penalty. The pirates hijacked the Americans' yacht and took them hostage off the coast of east Africa in 2011, then killed them as a U.S. Navy rescue team closed in. According to Newsline, the four Americans were Scott Adam, K9ESO; his wife, Jean Adam, KF6RVB; Bob Riggle, KE7IIV, and Phylis Macay. Federal Judge Rebecca Beach Smith is expected to hand down her sentence in November. International cooperation between AMSAT-NA and other amateur satellite groups around the world has been severely limited in recent years because the U.S. government has considered amateur satellites to be "munitions" and has made it illegal to share technology with foreign countries. Recent proposed changes in the U.S. Munitions List suggest that amateur satellites may be transferred to the Commerce Department's less-restrictive "Commerce Control List," but the specifics have not been clear. The AMSAT News Service reports that AMSAT has filed comments in that proceeding, seeking clarification of the proposed change as it relates to amateur satellites. It has also filed separate comments with the Commerce Department seeking to have amateur satellites treated differently from commercial satellites. For more on this story, see the "VHF-Plus" column in the October issue of CQ. As of Friday, August 23, the fee for applying for or renewing an amateur "vanity" call sign rose from $15.00 to $16.10 for a ten-year term. 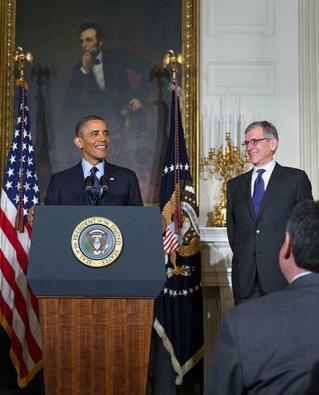 The fee varies each year as the FCC prepares its annual budget. What is unusual about this increase is that the Commission initially proposed only a 20-cent increase (to $15.20), but in the end decided on $16.10. There was no explanation for the change in the Report and Order setting the new fees.In addition, the ARRL reports that the FCC will now require that all regulatory fee payments be made electronically. The developers of Broadband-Hamnet™ software (formerly HSMM-MESH) are expected to be in Reno, Nevada, this month to accept two awards for their technology from the International Association of Emergency Managers. According to Newsline, the software is being honored with the Technology and Innovation Award from both the association's USA Council and the full international body. Mesh networking was recently featured in an article in Government Technology magazine, but that author reviewed only a commercial version that does not allow connection to the Internet, as is possible with Broadband-Hamnet. For a more complete look at the use of Mesh network technology in amateur radio emergency communications, see W2TTT's article in the upcoming October issue of CQ. reports that the national associations of Greece, Turkey and Bulgaria have signed a Memorandum of Understanding in which they pledge to help each other in times of need. In addition, the agreement calls for cooperation in other activities - such as worldwide sporting events, school contacts with the International Space Station and scouting jamborees - that "promote and strengthen amateur radio, friendship and co-operation between peoples." Organizers of the 2014 World Radiosport Team Championship (WRTC) competition are accepting applications for team leaders. There will be 54 two-person teams in the contest, scheduled to be held next July in New England. Team leaders will be selected from the top qualifiers in 29 regions around the world, based on applications and a qualification formula that considers 12 scores selected from 55 qualifying events between October 2010 and March 2013. For more information, visit <http://www.wrtc2014.org>. The team leader application is online at <http://www.wrtc2014.org/qualifying/team-leader-application/>. Application deadline is September 13, 2013. Artist's conception of UKube-1 in orbit. 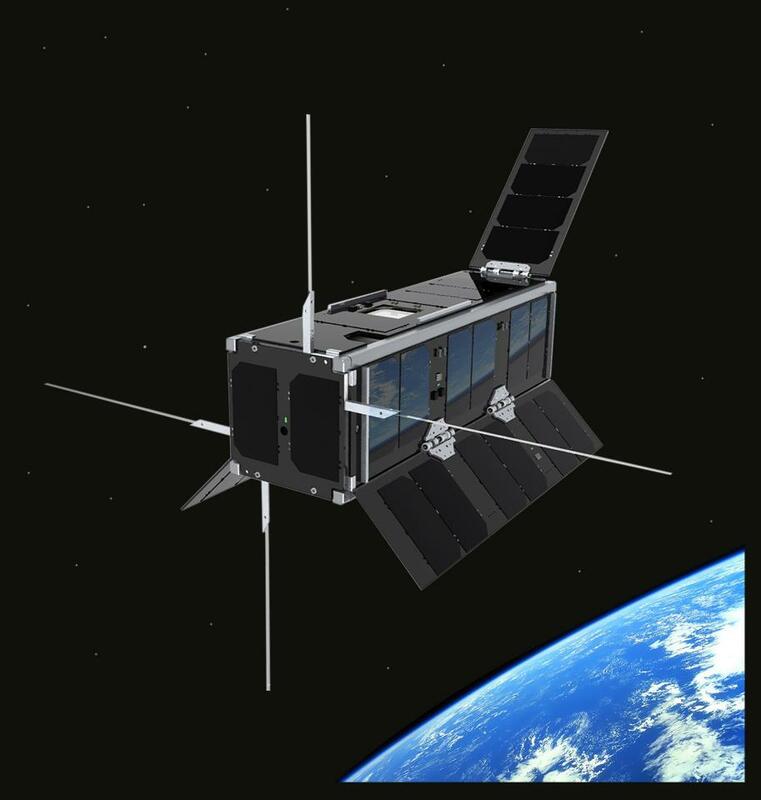 The UK Space Agency's first cubesat - UKube-1 - may launch in late October, according to the BBC. 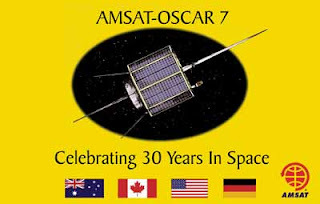 The AMSAT News Service reports that the satellite will carry a set of AMSAT-UK "FUNcube-2" boards which will provide for Mode U/V (up on 435 MHz, down on 145 MHz) SSB/CW contacts as well as a telemetry beacon on two meters. The satellite will also carry downlink-only transmitters on two meters, 70-centimeter spread-spectrum and high-speed data downlinking on 2401 MHz. The satellite is scheduled to be launched from Kazakhstan. FUNcube-1 is scheduled for a November launch from Russia. Additional amateur radio cubesat launches are anticipated in the first half of 2014 as part of the QB-50 project, an anticipated network of some 40 double cubesats designed to study the thermosphere. The amateur radio payloads will be part of a precursor launch to test the technology in orbit. More information is available at <http://www.qb50.eu/>. AMSAT-OSCAR 7, launched nearly 40 years ago and silent between 1981 and 2002, is back on the air after going through a period of eclipse. The satellite's batteries are long dead but when it is in sunlight, its solar panels power the equipment back on. According to the ARRL Letter, the most recent eclipse period ended in early August. It varies between operating in Mode A (2 meters up and 10 meters down) and Mode B (70 centimeters up and 2 meters down). Ham radio ballooning enthusiasts are embracing a new challenge, launching and tracking "pico balloons," which Newsline describes as "those silverized party balloons fitted with an ultra-light amateur radio payload and designed for long-distance medium altitude flight." Apparently, they're capable of remaining aloft for quite a long time if a recent report from England is any indication. 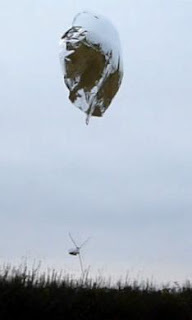 The "B6" balloon was launched on July 14th from Silverstone, England and was tracked for the next 70 hours as it drifted across the English Channel and toured the French countryside before its signal was finally lost some 80 miles outside Paris. It carried a 10-milliwatt 70-centimeter transmitter that was powered by a single AA battery. One often-heard complaint about the low-priced Chinese ham rigs that are making big inroads into the U.S. market is that the quality of the user manuals does not match that of the radios. Help is on the way, reports Newsline, which says a group calling itself the Radio Documentation Project is working to produce high-quality, in-depth, open-souce manuals for Chinese-built handhelds. 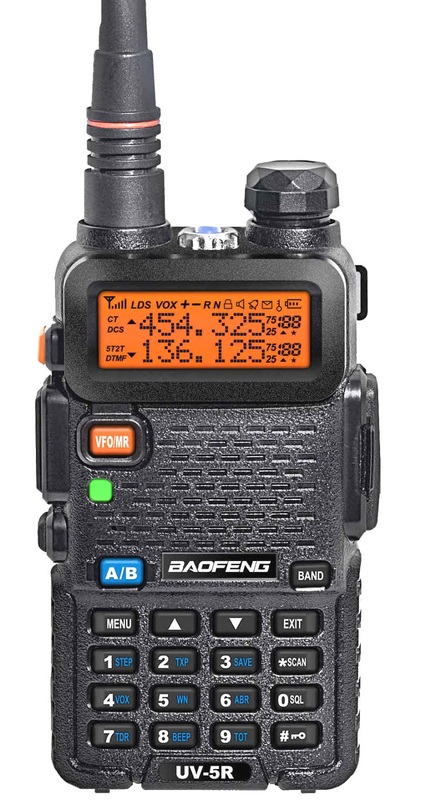 The first one completed is for the Baofeng UV-5R dual-bander. It may be downloaded for free, in PDF format, from <tinyurl.com/new-uv5r-booklet>. The "MM" series of digital mode software has been released to open-source development by its author, JE3HHT. According to the AMSAT News Service, this includes MMTTY, MMVARI and MMSSTV. A new MM-Open organization has been started up to encourage and facilitate further development. The LGPL license allows individuals and companies to use and integrate the "MM" programs as long as all improvements to the source code are made publicly available. A "master branch" for each application will be maintained by a group of "Committers" consisting of N4HY, KE5DTO, JA7UE and N5AC. For details, see <http://mm-open.org>. Police are investigating who might have scaled multiple fences in a remote area of northern California to cut the guy wires supporting a 200-foot radio tower that supported a variety of commercial, public safety and amateur radio repeater systems. No one was injured in the tower collapse that followed, but initial estimates put the cost of repairing the damage in the neighborhood of $1 million, according to the ARRL Letter. One of the antennas on that tower was connected to the Mount Diablo Amateur Radio Club's heavily-used packet/APRS digipeater on 144.390 MHz. The club decided to relocate the repeater to the north peak of Mount Diablo, co-located with an amateur television (ATV) repeater it was already in the process of installing. Result: the digipeater is now 1000 feet higher in elevation with a much greater coverage area than before -- up to 150 miles in each direction, according to club officials. They hope the new coverage area will encourage greater use of APRS in the area. Army MARS Conducts Nationwide "High-Pressure Test"
Members of Army and Air Force MARS (Military Auxiliary Radio System) took part in a "national crisis exercise" in early August, involving operators in all 50 states and personally supervised by the Army's chief of network communications. NETCOM Commander Maj. Gen. Alan Lynn, launched the six-hour exercise with a voice broadcast. The actual drill, however, consisted of relaying encrypted data between individual members in the 50 states and Army MARS headquarters at Fort Huachuca, Arizona. According to Army MARS, the goal was to measure the performance of the volunteer radio operators under heavy traffic conditions. The drill simulated a near-total breakdown of normal communications channels, including cell phones and the Internet. 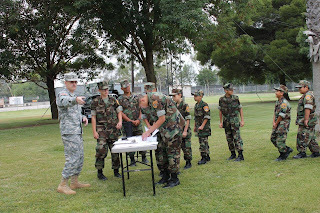 special event, directs the Young Marines to the field EOC . instructs Private Pham in microphone use. When a group of 30 young people (ages 8 through high school) participating in the Young Marines program came to the Army Reserve support unit in Costa Mesa, California for their summer drill, the unit's Army MARS liaison saw an opportunity to introduce them to amateur radio. Lt. Col. Roman Kamienski, KG6QMZ, initially planned a simple antenna demonstration to observe basic radio principles, according to an Army MARS news release, but it quickly grew into a full-scale communications exercise involving multiple organizations, Army MARS headquarters in Arizona and the Navy/Marine Corps MARS station aboard the USS Midway, which was berthed in San Diego. Kamienski reported that each of the young people performed well and that all talked on the radio at least once. The Young Marines is a non-governmental arm of the Marine Corps League. The YASME Foundation is providing a second grant to help support ham radio in Ethiopia. According to the ARRL Letter, the foundation initially provided a grant two years ago - soon after amateur radio became legal in the country again - to pay the license exam fees for up to 25 members of the Ethiopian Amateur Radio Society. Many of those members did pass the test, but the country's radio regulations require you to show that you own an amateur radio station before a license will be issued. This second grant will go toward the purchase of transceivers for three EARS members, which will then allow them to become licensed and get on the air. The YASME Foundation promotes amateur radio in developing countries as part of its overall programs. 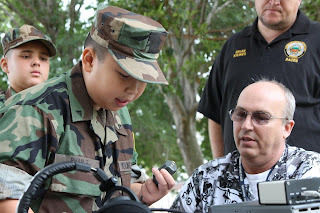 WB6NOA Ending Licensing Classes, Turning to "Training the Trainers"
Perhaps the most prolific ham radio instructor in history is now turning his attention to training the next generation of instructors in the methods he has used for over four decades. Gordon West, WB6NOA, who is also a Contributing Editor for the CQ family of magazines, told Newsline recently that he will no longer be conducting licensing classes for prospective hams, but will instead focus on "training the trainers" in "some of the techniques I use." He notes that the people who have signed up for his first instructors' class include "Elmers" and Boy Scout merit badge counselors as well as licensing course instructors. More information is available by clicking on the "Ham Instructors" tab at <www.gordonwestradioschool.com>. 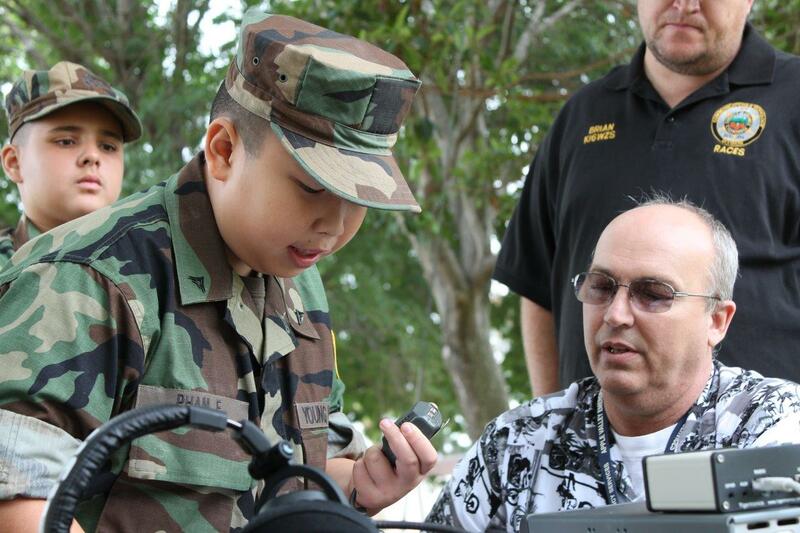 The ham radio voice of Pitcairn Island, Tom Christian, VP6TC/VR6TC, passed away on July 7. He was a direct descendent of Fletcher Christian of Mutiny on the Bounty fame. According to the ARRL Letter, Christian was diagnosed with "possible Alzheimer's disease" in 2009, and reported that his wife, Betty, said his health "deteriorated all too quickly" in his final months. Tom had been licensed since 1957. He and Betty regularly used ham radio to communicate with two of their daughters as well as friends around the world. Tom was 87. 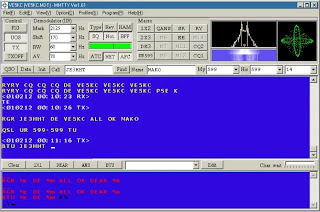 European Space Agency Astronaut Luca Parmitano, KF5KDP, reported on his blog that ham radio came to his rescue recently during a period when it was difficult to see the Earth from the International Space Station and he was feeling cut off from the world. After admitting that he had "never been into amateur radio" before, despite conducting several school contacts from the space station, he turned to ham radio "to establish some kind of 'contact' between the station and the Earth." 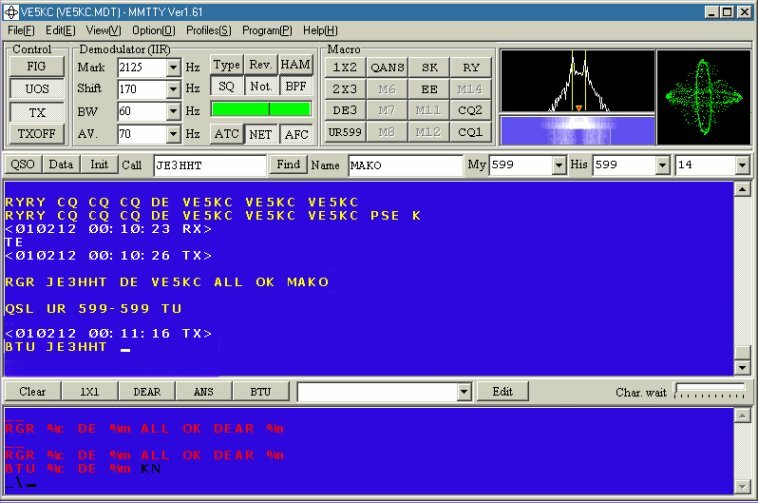 When he turned on the ISS ham rig, he heard a station in Portugal calling NA1SS, the U.S. call sign for the space station. He responded using the station's Italian call, IR0ISS. The other operator, whom Parmitano did not identify, told him that contacting the ISS was "a dream come true." Parmitano made several more contacts over the next 15 minutes, noting that the world's amateur radio community had "wrapped me in a warm blanket of friendship and gratitude, oblivious to the fact that I'm the one who should be thanking them…"
High school students in Floyd County, Virginia, whose families cannot afford to buy a home computer may now turn to the Floyd Amateur Radio Society's "Laptops on Loan" program for assistance. The club is making several laptops available on a long-term loan basis to qualifying students. They must complete an application, have their parents' permission, stay in school and promise to return the computer at the end of the loan and not sell it. The club is accepting donations of used, functioning laptops in order to expand the program. To find our more, visit the FARS website at <http://www.floydamateurradiosociety.org> or contact Tom King, W4VZH, at <w4vzh@arrl.net>.